Given that a home inspection isn’t that pricey of an ordeal, you might want to think of getting your home inspected before you sell it. If you’re the buyer, you’re going to want a house inspection as well. Getting a third-party, outside opinion to look at what’s happening to your home can be eye-opening. Here are five ways to ensure that you’re prepared when it’s time for your inspection. If you want to start off on the right foot, you need to start with a home inspector that you know you can trust. The way to do that is to ask around about the reputation of the inspector you’re thinking of hiring. If you can find someone that a friend or colleague has worked with before, you’ll be able to get a positive endorsement. If you don’t know who to ask, then you should head online. One of the great benefits of sites like Yelp and Angie’s List is that you can get lots of details about how good or bad a particular service provider is. While you should always take online reviews with a grain of salt, it’s vital to give them a little bit of weight. For anyone working with a real estate attorney or a broker, you should be able to find an inspector. Ask them for their recommendations or who they usually work with. If you trust your broker, you should be able to trust anyone who they recommend to you. If you want to ensure that the home inspector is going to give you feedback that you can trust and may have to follow, check that they’ve got a valid license. In every state, home inspectors need to register with a state board. This means that they have legal authority and have been properly vetted to hand down the judgments they give you. If they aim to be licensed, they need to have completed a training course that covers all the basics of what to look for. They’ve had an inspection exam and they’ve had they’re worked checked out. They’ll abide by a standardized code of ethics that ensures they issue no discriminatory ruling against you. They’ll have had to inspect upwards of 100 different homes while directed by another inspector before they begin. This ensures that their judgment has real value, based on everything they’ve seen. When you’re getting a home inspection, you should know what the inspector is going to look for. This allows you to both prepare for what needs to be fixed and also to know what your inspector shouldn’t be looking at. 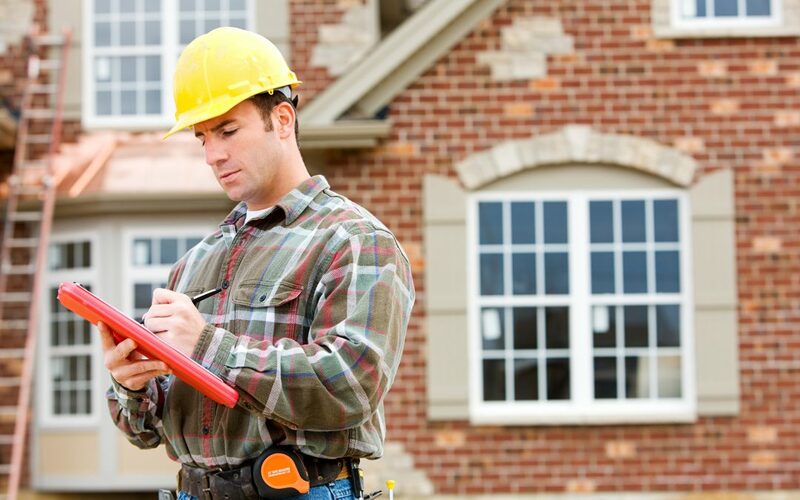 Your inspector is going to check for safety and health issues all around your home. Expect them to snoop around on your roof and in the space that’s immediately beneath it, whether that’s an attic or an extra bedroom. They’ll look at the exterior, any decks, or balconies for safety, falling hazards, and stability. They’ll make sure there’s nothing that’s going to fall, collapse under pressure, or could fly off in a strong storm. They’ll look at your foundation and supporting columns to ensure that your home is going to stand up tall. Plumbing and heating systems come into play because they could cause damage to the home if not properly installed. Expect them to exclude pools, solar panels, or any exterior construction. If you have a shed or a small garage, that’s up to you. They’re not going to inspect that in most cases unless it’s been flagged as unsafe by any neighbors or local zoning board. Along with the tests that have to do with the structure and makeup of the home, you’ll have additional tests that you have to pass. These can be as simple and obscure as a radon test, which you should”t have trouble with, to a carbon monoxide test. If you have problems with any of these issues, it’s going to throw a wrench in the mix. If your home has a private well for water, conduct a quality test ahead of time. The inspector is going to test and if you’re on the edge, they’re going to want to know what you’re aware. When you’re aware, you can install a filter or work to fix the problem as best as you can. Your well has to have sufficient capacity as well as have clean water. Your inspector is going to test for both to suer that your home is as safe as possible and ready to live in ASAP. If you want to know whether or not you’ll pass or fail this test, it’s a little more complicated than an “A” or an “F” rating. Each problem you have will be rated in a number of ways. One of the most common is as a “safety hazard.” In these cases, the inspector is saying that your issue could cause someone harm. This requires action. If something is fully depreciated, then it’s reaching the time to be replaced, like siding or a roof that’s ready to go. When something is “in need of repair,” that means you should take the time to fix it before it gets worse. Anything rated as “evaluate” means that a professional should take a look and offer some suggestions as to how they’d fix the problem. If you’re the seller of a home, a house inspection could incentivize people to buy in. Once they see that you’ve passed with flying colors, you’ll be much more trustworthy as you walk your neighborhood. If you want to know what to as during your home inspection, check out our guide for tips.